Sporadic Sentinel: Bowl Previews 4: Friday Fun Time. Mostly. Bowl Previews 4: Friday Fun Time. Mostly. Welcome to the fourth bowl preview of the year. If you missed the first three and for some reason you'd like to read them, they're here, here, and here. I have invited a few sports-knowledgeable friends to help me make bowl predictions for all 35 bowls.... but they declined, so instead I got Bob of Arabia and Mike Ficher to help out. Bob of Arabia (aka, BOA) and I had a previous website in which part of our bowl previews included several MSC's, or “Monkey Specialty Categories,” because the name of the site was “3 Sports Monkeys.” The MSC's helped determine whether we were watching an actual bowl game or a joke. So when you see that, you'll know what it means. It got mostly defined in the first bowl preview of the year, but I'm certain you're smart enough to figure it out on your own. With that, previews for Friday. Mike Ficher called in over-stuffed from Christmas dinner, but BOA fortunately got his written before the inevitable hangover that I'm sure he now has. Officially, this is Maryland's last football game as a member of the ACC before they join the Big 10 next year and help make it the Big 14. I seem to sense that Maryland will be back in the ACC by the end of the decade, because they're going to realize they made a big damned mistake. Their football team is a disaster, their basketball team is not exactly where it was with Gary Williams... and they're going to the Big 10. It just seems like a dumb idea. Oh wait, the money. I forgot. The money will placate everyone in the administration, but the administration isn't the fan base, who is going to get a little pissed when they finish 14th in a league that still officially has 10 teams. They go out playing in a bowl game just 27 miles from campus. They take on a Marshall team that played for the C-USA championship and finished 7-1 in their conference. That they accepted a bid to play on a Terps squad that went 3-5 in the ACC makes the game seem even worse than it is. In addition, I'm confused by the title Military Bowl when there's an Armed Forces Bowl on Monday. Isn't that pretty much the same thing? All this adds up to a bowl that feels like a non-bowl (based on MSC's). Then you throw in that it's a 6 hour 45 minute drive from Huntington, West Virginia, to Annapolis.... and that pretty much seals it. And let's not forget Maryland's subtle uniforms. Land sakes, I live in Oregon and find these things garish. They are Marshall. They will win. I'm thinking there are really only two reasons to watch this game. 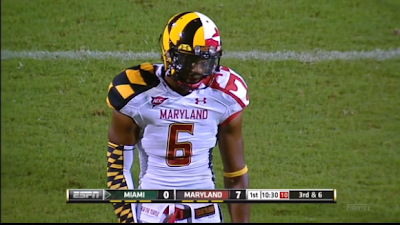 One, to see what crazy seizure inducing uniform combo Maryland runs out of the tunnel wearing. 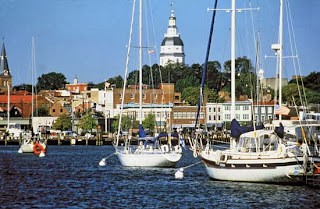 Two, to see the camera pans of Annapolis and the surrounding area as the broadcast goes to and returns from commercial. Annapolis is beautiful and will make for good TV. Of course, as an ex-Navy man, I am probably not being exactly subjective about that. With that in mind, this feels kind of like an MSC game given it is essentially a home game for the Terrapins. (Tangent Alert: C'mon Maryland, if you're going to name yourself after a Grateful Dead song, "Friend of the Devil" or "Alligator" lends itself to a better mascot than a friggin' turtle) The Thundering Herd scored a lot of points this season, but they did it against a lot of directional schools and schools with lengthy Alex P. Keaton-esque monograms. Once my eyes recover from Maryland taking the field, I'll excuse myself and head out for crab cakes and beer with the knowledge the home team will win. Really, how do you not pull for Minnesota to win their 9th game for just the second time in 108 years? Even in their undefeated alleged national championship years of the late 30's and early 40's they only played eight games a season. Perhaps you've heard the story of Gophers head coach Jerry Kill. To say he's gone through a couple of health scares this season is to put it mildly. The man has had in-game seizures this season due to epilepsy, throwing not just his coaching future, but his human future into question. He took time off and returned with a new perspective on coaching and life. At least that's what he claims in interviews and you can only hope he's not just whistling Dixie. For the Gophers to win their final game of the year would put a real good cap on a season with some real scary situations, and I'm not talking about going for it on fourth and two. Also, Syracuse can bite me. (I'd link to the 2003 NCAA Basketball Title game, but I'm never going to voluntarily look for video of that.) Go Gophers. Hang on a minute.....there's a football game in Houston, called the Texas Bowl, and it has two teams from north of the Mason / Dixon line playing in it? Is Texas aware of this? Isn't there a state law prohibiting that many Yankees from gathering in one place? If I play for Syracuse or Minnesota, I'm contracting the plague on travel day to avoid the torches and pitch forks waiting for us at Houston's George Bush Intercontinental Airport. Actually, if I play for Syracuse, I stay home period. If they're lucky enough to make it past the lynch mob at the airport, they aren't going to get past the Golden Gophers. It wouldn't matter if this was the Upper New York Bowl, Syracuse still gets crushed. There are five stadiums that host major football games on a regular basis in the San Francisco Bay Area that I can think of off the top of my head- San Jose State (which did host the Silicon Valley Classic Bowl game), Stanford, Cal, the Oakland Coliseum, and Candlestick Park. But where do they play this game? 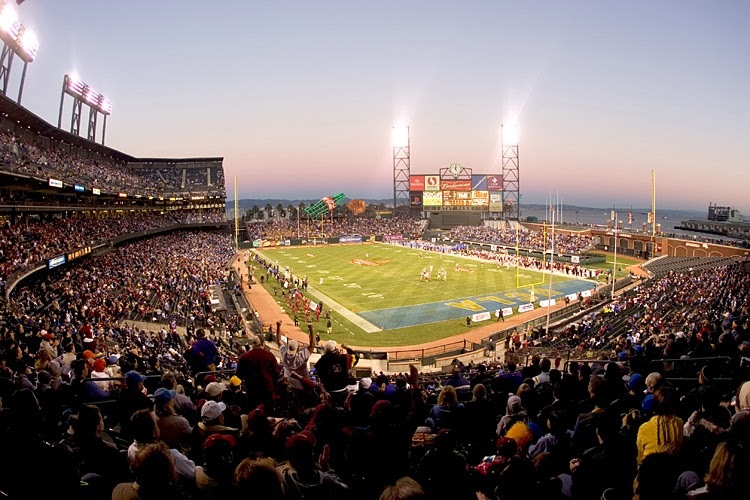 The only major stadium that doesn't host football for the other 364 days of the year, Phone Company Park, the home of the San Francisco Giants. That really doesn't make a whole lot of sense to me, unless you look at the part where this stadium maxes out at about 45,000, and the others seat 55 thousand plus. So even if you put 45,000 people in the stands for the game and played it in, say, Palo Alto... you'd still be 10,000 short of a sellout. Whereas if you put 30,000 in this stadium, it'll look mostly full... but you put 30,000 at Stanford, you're half-full. This is the exact reason baseball teams stopped playing in cookie-cutter multi-purpose stadiums. 40,000 people at 60,000-seat Candlestick Park to see the Giants was still one-third empty. 40,000 people at 45,000 seat-Phone Company Park.... well, that's almost a sellout. It's all about making yourself look good. As for this game, you've got no-conference BYU against no-coach Washington. The Huskies are yet another team going with an interim coach, they've got Marques Tuiasosopo. Because Sark left for USC and the Huskies hired Chris Peterson from Boise State, who won't take over until after the game. Which confuses me. If you're the new head coach, why wouldn't you take advantage of the three weeks extra practice time and go coach up your new team? Maybe you don't put in your plays or change the book or whatever, but why wouldn't you be at bowl practice every day? You act like a coach emeritus, coaching up some guys individually but not interfering with what the interim head guy is doing? I suppose it might throw a few players off as they wonder who they should be listening to. But you could totally say “I'm here to watch and observe but interim coach X is still your guy,” and do it that way. I remember when Tui was a very good Huskies QB, and he even played in the Bay Area for the Raiders. Washington, no matter who their coach is, looks like they should win this one, but man, BYU is good in bowls. Bronco Mendenhall gets his guys ready to play. Especially with another chance to stick it to a conference that went with Utah instead of them during their first (note: first) expansion. I say BYU does it again. Also, I generally can't root for the Huskies. Honestly, they should play the game at Kezar Stadium. That would be a guaranteed sellout. I could make funny about how the only bowl game in San Francisco has a hippie granola name. As a current Bay Area resident, I'd be allowed to in the same way that you can make fun of your sister but nobody else can. But, it's the holidays and they're trying to feed people. Perhaps it's the egg nog or too many reruns of "A Charlie Brown Christmas", but I haven't the heart to go jackhole on this game at the moment. Huskies show BYU it was a good idea they didn't join the Pac-12 and receive regular beatings like this.